A select clone from our population of this species ! 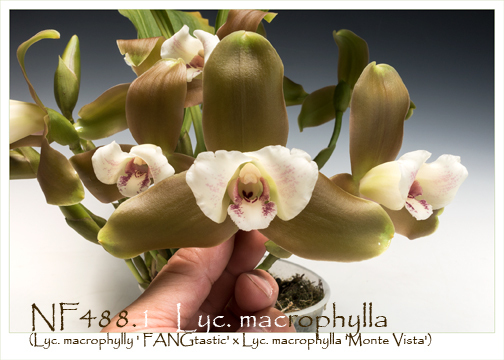 Endemic to Central and South America in wet montane forests, this medium size terrestrial species can be highly variable in its flower color and its plant size. 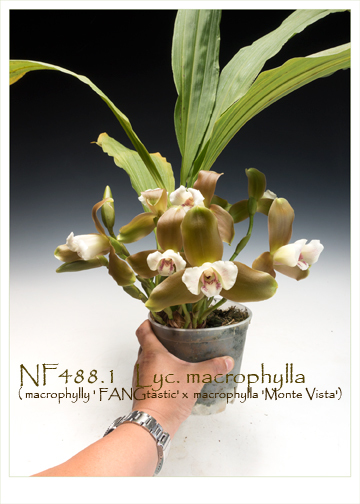 Its basal inflorescences, produced on newly maturing pseudobulbs, are up to 7” long, allowing its large 4 ½” flowers to show off to their best at the base of its foliage. This species can flower successively over several months from summer to fall with waxy fragrant flowers. This special clone was selected from our population of this species for its exceptionally colorful and full form flowers and is a one-of-a-kind. Very Highly Recommended !